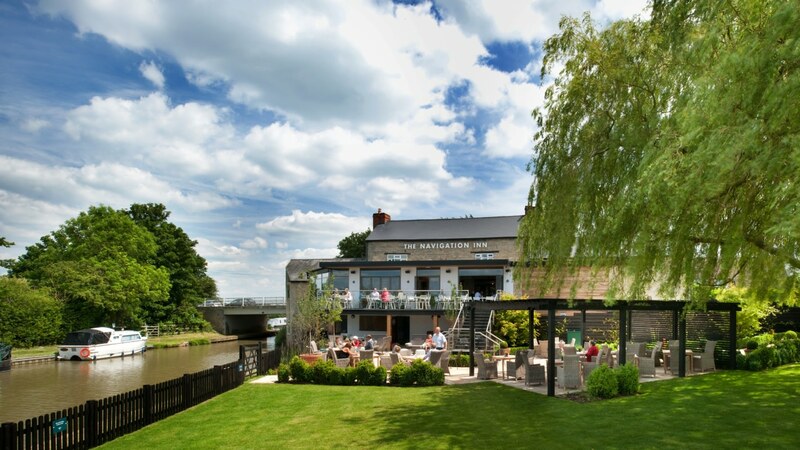 Sitting on the banks of the Grand Union Canal, which runs 137 miles from London to Birmingham, is The Navigation Inn. It has been a destination for travellers since 1876 and recently over gone a dramatic restoration and extension. A number of 1960s skinflint enamel factory shades, salvaged from the Szarvas factory in South-Eastern Hungary, now light the main dining area suspended within the original vaulted beamed ceiling.